Thanks to Tom Reney at Jazz a la Mode! Thanks, Tom for continuing to play selections from Detour Ahead as you did last week. Your support for local musicians and for jazz in general is greatly appreciated. And congratulations on your 30th anniversary as host of Jazz a la Mode. 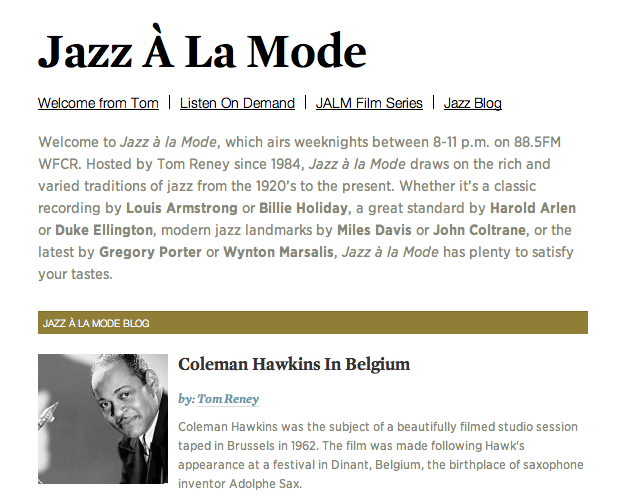 Tune in to Jazz a la Mode, week nights at 88.5, New England Public Radio. This entry was posted in Press / Reviews / Air Time on November 25, 2014 by barbarajween.